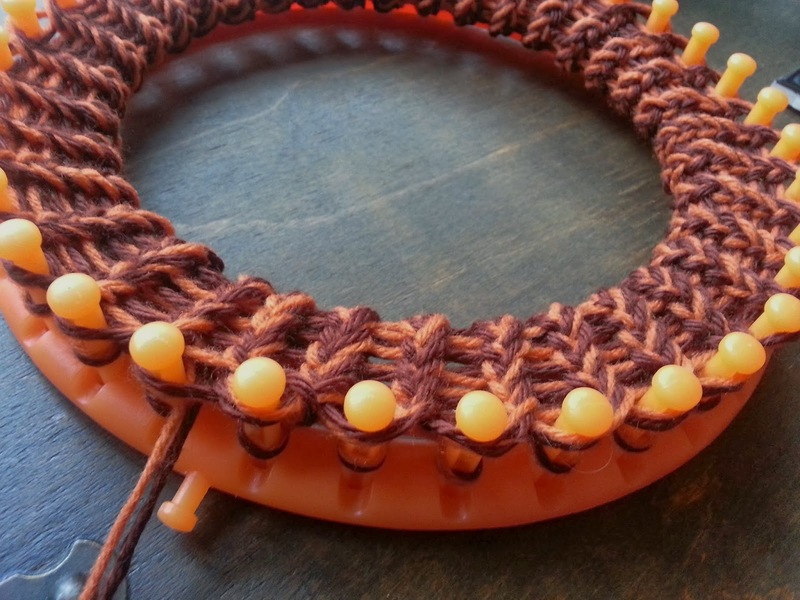 Wrap and knit 10 rows, then fold over to make a thin brim. Continue wrapping until you have about 9 inches of "hat". 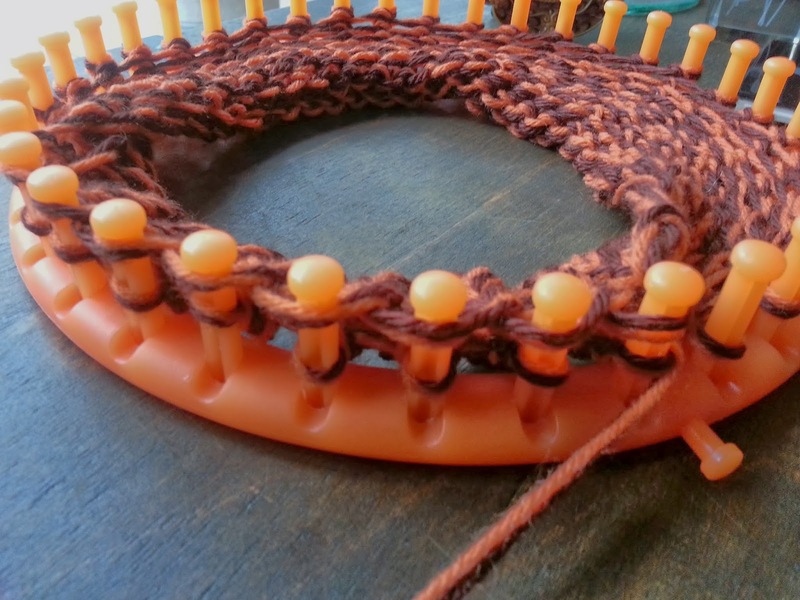 Continue by wrapping and knitting 4 rows, back and forth, of the remaining pegs. Purl the next row all the way around....leaving just one wrap on the 10 pegs that were bound off. Purl two more rows all the way around. Finish off the hat with 6 inches of the top cap portion and take off as usual! What does "Apple Berry" Mean?? what is apple berry? i dont understand? It is a term that we heard early on....just the use of 'apple' and berry' instead of 'A' and 'B' when referring to posts. When you Apple Berry something, you pick up from two posts (A & B) and move A over to B and replace B on top, knit over. You repeat this process until you have the desired pegs clear. Shawls can also be Apple Berried off! Anyway, we got your question. From what I'm reading, you should move the stitch over to 'b'....the idea is to get these posts tied off, so they don't run, and then be able to go back and forth to do the back portion of the hat. An easier way to describe this "Apple Berry" process is to move the stitch on peg B to peg A, knit off, then move the remaining stitch back to peg B. Is it possible that you will be making a video of this? I, for some reason, cannot follow a written pattern for the life of me, but the videos are instantly clear. I have a little girl with asthma at home who would be ecstatic to not have to wrap a scarf around her face anymore! I plan to give it a shot either way! Thank you! Regardless of it all this apple berry. This was the first mask I found and I'm so confused on your explanation of it all. Need better detailed steps. This pattern can not be followed by anyone from the comments left.